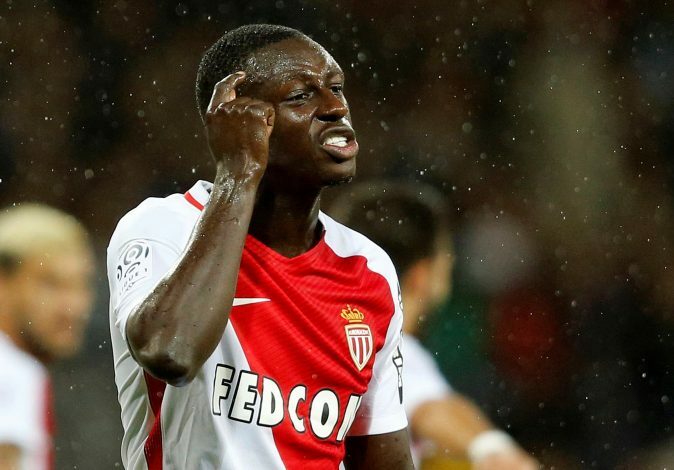 Manchester City are front runners in getting Benjamin Mendy’s signature, but as it seems, Manchester United’s interest in the Frenchman has taken a new level due to City’s failure in deciding his wages. Mendy was reported to be in, or on his way to Manchester a couple of days ago. However, the 22-year-old himself quickly scrapped the rumours by posting a video on social media that clearly showed Paris in the background. The Citizens and their neighbours Manchester United have both expressed ‘concrete interest’ in the left-back, as reported by L’Equipe (via Sport Witness) on Tuesday. But according to different reports, they are not the only clubs in the race to bag the young star, and Monaco too, are said to be in a powerful negotiating position. Manchester City boss Pep Guardiola has already told those in power at the Etihad that he’d like Mendy to be a part of his squad for next season, and the player is also tempted to join the team because of the role offered to him. But, according to L’Equipe, no ‘wage agreement between the two parties was found’ and one of the prime reasons is because of immense competition from clubs like Manchester United, Barcelona, Liverpool and Chelsea. A deal that is believed to cost around €45 million is not a huge amount for either of the two managers currently in charge of the Red and Blue parts of Manchester. With the Red Devils having struggled at left-back position this season, and City set for a complete revamp of their defensive line-up, the English clubs would surely be pushing the most for Mendy.